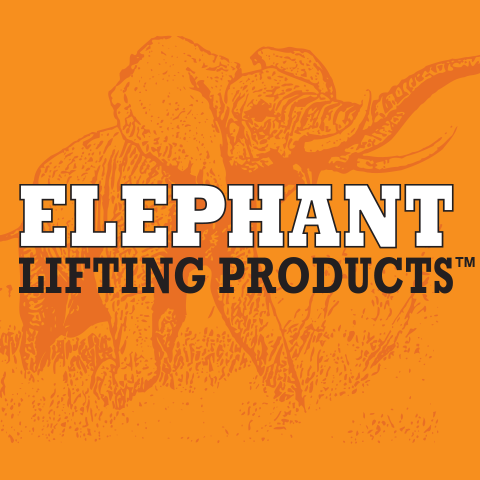 Elephant Lifting Products introduces premium quality air / pneumatic chain hoists, manual chain hoists, lever hoists, electric chain hoists, and applied products that are required in today’s industry. Elephant Chain Block Co. Ltd. is family owned and operated, manufacturing lifting equipment in Japan since 1936. Hand chain hoists, lever hoists, electric chain hoists, beam clamps, and trolleys. The Elephant hoists are known globally for their superior design, advanced safety features, and constant reliability. The manual chain hoists, lever hoists, spark resistant hoists, spark resistant trolleys, and electric chain hoists are furnished with our proprietary load chain. The load chain is manufactured within our factory in Osaka, Japan and adheres to the strict DIN 5684 standards. This special grade 105 heat treated high tensile strength load chain (105 kgf / mm2) exceeds ISO V grade chain. To complement our product line we are introducing two additional lines of lifting equipment: ATS Pneumatic chain hoists and Grippa lifting equipment. ATS and Grippa are both family owned & operated. They are also manufactured within ISO facilities in South Africa. The ATS Pneumatic hoists range from 1/4t industrial type units to specialized 240t BOP handling systems. The hoists are ATEX rated for spark resistant applications. We can also offer specially engineered air chain hoists for applications that demand so. The Grippa beam trolleys are a solid carbon steel design, offering longevity in industrial environments. The Grippa beam clamps are robust in design, engineered to accommodate large girder sizes. Both the Grippa trolleys and beam clamps can be offered with 100% stainless steel side plates, stainless steel components, and solid bronze or solid stainless wheels. These special features are offered for corrosive and spark resistant environments. Elephant Lifting Products also offers a variety of lifting clamps to accommodate various rigging applications.